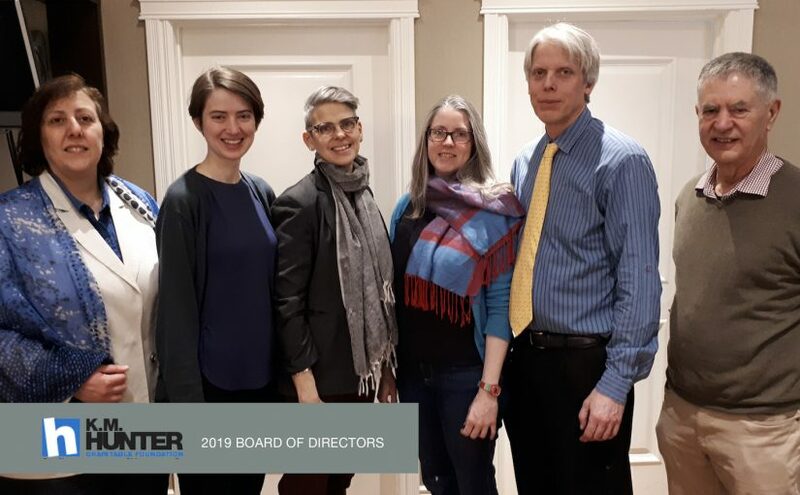 We are so pleased and grateful for our 2019 Board of Directors who are as passionate about the K. M. Hunter Charitable Foundation as they are about impacting the communities around us. Committed, thoughtful and strategic, we couldn’t ask for a better team to lead our work. From the bottom of our heart, THANK YOU! L-R in the above photo: Maria Calandra, Eleanor Hart, Sarah Hunter, Andrea Holtslander, Guy Hunter and Doug Hart.